This is a kettle cooked russet potato chip that has the same seasoning as our Original Tortilla Chips. INGREDIENTS: Russet potatoes, canola oil, salt, sugar, dehydrated garlic, spices including paprika and turmeric, dehydrated onion, corn starch, chili pepper, natural flavor, rice hulls, soybean oil, oleoresin paprika. INGREDIENTS: Soybean oil, sugar, water, tomato paste, vinegar, salt, xanthan gum, sodium benzoate (preservative), EDTA (to protect flavor). INGREDIENTS: Soybean oil, strawberries, sugar, red wine vinegar, water, salt, poppyseeds, mustard, xanthan gum, fruit & vegetable juice for coloring, sodium benzoate as a preservative, EDTA added to protect flavor. INGREDIENTS: Cucumber juice, vidalia onion (18%), water, soybean oil, sugar, vinegar, salt, xanthan gum, dillweed, sodium benzoate (preservative), EDTA (to protect flavor). INGREDIENTS: Soybean oil, sugar, water, apple cider vinegar, vidalia onion, salt, poppyseed, garlic, spice, onion, xanthan gum, sodium benzoate as a preservative, EDTA added to protect flavor. INGREDIENTS: Soybean oil, water, sugar, vinegar, vidalia onion (3.1%), honey, salt, xantham gum, black pepper, mustard seed, spices, sodium benzoate added as a preservative, EDTA added to protect flavor. INGREDIENTS: Soybean oil, sugar, vinegar, water, vidalia onion, salt, black peppercorns, red bell pepper, xanthan gum, onion, garlic, sodium benzoate as a preservative, EDTA added to protect flavor. INGREDIENTS: Soybean oil, sugar, water, cider vinegar, vidalia onion (2.8%), salt, celery seed, spice, xanthan gum, parsley, sodium benzoate (preservative), EDTA added to protect flavor. INGREDIENTS: Tomatoes, sugar, water, distilled vinegar, cider vinegar, onions, salt, garlic, poppyseeds, mustard seed, celery seed, xanthan gum, turmeric. INGREDIENTS: Whole grain corn, corn oil or cottonseed oil, salt, sugar, toasted corn germ, garlic, spices including paprika and turmeric, onion, corn starch, chili pepper, natural flavor, and soybean oil. Manufactured in a facility that also processes soy and milk derivatives. Nice N Spicy Tortilla Chips 12oz. INGREDIENTS: Whole grain corn, corn oil or cottonseed oil, salt, sugar, toasted corn germ, garlic, spices including paprika and turmeric, sriracha sauce (maltodextrin, aged cayenne pepper, vinegar, salt, garlic, silicon dioxide), dextrose, onion, corn starch, chili pepper, natural flavor, silicon dioxide, soybean oil, oleoresin paprika. Manufactured in a facility that also processes soy milk derivatives. INGREDIENTS: Water, soybean oil, whey, cheese (pasteurized milk, cheese cultures, salt, enzymes), maltodextrin, red bell peppers, sodium phosphate, natural flavor, less than 2%: onions, modified food starch, sodium alginate, sorbic acid (as a preservative), annatto color, lactic acid, garlic powder, hot pepper concentrate, nacho seasoning (chili peppers, spices, dehydrated onion and garlic, paprika, natural flavor, maltodextrin). INGREDIENTS: Fire roasted tomatoes, diced tomatoes, onions, jalapeno peppers, cilantro, salt, spices. INGREDIENTS: Corn, diced tomatoes, onions, sugar, tomato paste, jalapeno peppers, salt, garlic, spices. INGREDIENTS: Tomatillos, onions, jalapenos, cilantro, salt, garlic, spices. INGREDIENTS: Diced tomatoes, crab meat, diced green bell peppers, lime juice, green chili peppers, a special blend of herbs and spices, salt. 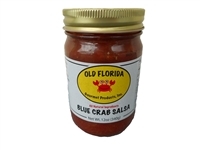 INGREDIENTS: Diced tomatoes, crab meat, green chili peppers, fresh horseradish, diced green bell peppers, aged cayenne peppers, lime juice, jalapeno peppers, worcestershire sauce (distilled white vinegar, molasses, sugar, water, salt, onions, anchovies, garlic, cloves, tamarind extract, natural flavorings, chili pepper extract), a special blend of herbs and spices, salt. INGREDIENTS: Diced tomatoes, onions, jalapeno peppers, lime juice, natural bacon flavoring, cilantro, salt, spices.